Did the Haywood Five Get a Fair Trial? 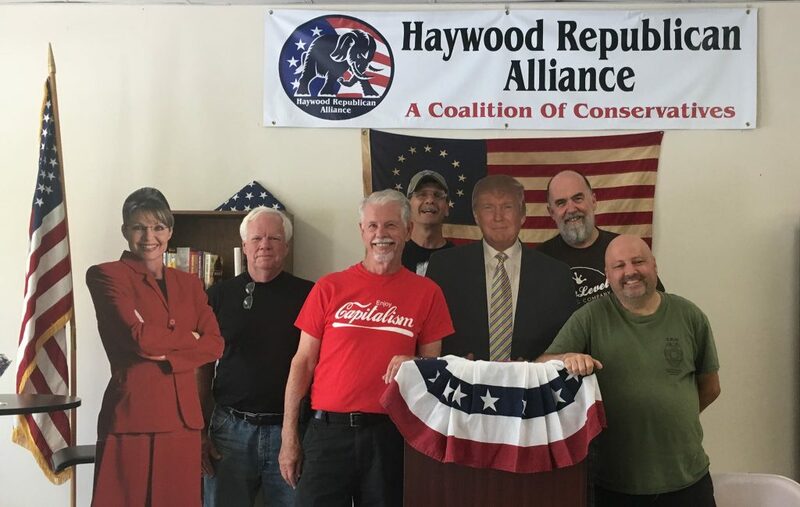 Recently, the “Haywood Five” were tried on charges of “party disloyalty” by the North Carolina Republican Party’s Executive Committee. Two of the “Haywood Five” were present at the trial, three were tried in absentia. Surely, many of the Executive Committee members left convinced that the “Haywood Five” received a fair trial. Was this in fact the case? In a fair trial, the accused is provided adequate notice and opportunity to formulate and present a defense. While the members of the “Haywood Five” were notified well in advance of the time and place of the trial, they were not informed of the evidence against them until two days before the trial. This is significant, particularly for those who could not attend. …but there was no discussion regarding whether or not the actions of the “Haywood Five” constituted “attempting to influence or influencing the outcome of an election”. There is further discussion of this question in this article. In this instance, your State Party has received two resolutions concerning the same five individuals. These resolutions come from the Haywood County Executive Committee, and the Eleventh Congressional District Executive Committee. While the statement above is indeed factual, it leaves out some very important detail. In both cases, no evidence against the accused was actually presented. In the case of the Eleventh Congressional District’s resolution, approval was by vote via mail, without opportunity for discussion by the body. Next, we come to the issue of who prosecuted the case. NCGOP General Counsel Tom Stark acted as “case manager”, presenting the case against the accused. This creates a strong impression that NCGOP supports the charges against the accused. That is hardly impartial. Challenges to the propriety of this fell on deaf ears. That NCGOP would be less than impartial should be no surprise to anyone, as they have allowed (if not encouraged) this travesty to continue for months without once seeking to hear the accused’s side of the story. Finally, we come to the most fundamental issue raised by the “trial” of the “Haywood Five” – Does a registered Republican not have the right to call out Republican candidates or office holders for failing to uphold the party platform? Statements against one particular Haywood County Commissioner constituted the bulk of the evidence presented against members of the Haywood Five. As pointed out by a local journalist, this sounds more like what one might expect from the Communist Party. Were the “Haywood Five” given ample opportunity to present a defense? Was the issue of whether or not the actions of the “Haywood Five” in fact constitute “party disloyalty” adequately discussed? Was it proper for NCGOP to act based on two resolutions that were passed based on mere allegations with no presentation of supporting evidence? Was it fair for NCGOP to put the weight of it’s entire organization behind prosecuting these allegations, without first even asking for the other side of the story? Does every American not have the right to speak out against public officials that misuse the public trust? Did the “Haywood Five” get a fair trial? Even in a court of law you have the chance to be heard and investigated before a verdict is made! No I don’t think the Haywood 5 got a fair hearing! Only two of the five even showed up, and both received lesser or no repercussions as a result that they came. Instead of complaining that Monroe, Eddie, or Richard didn’t get a fair trial, maybe they should have came to defend themselves. And instead of complaining over a webpage and trying to stir up controversy (which isn’t working), maybe you should consider WHY the county, district, and state party all are against your “faction.” I can promise you that it isn’t because everyone in the world is out to get you. It’s because you attempt to threaten, bully, and cyberstalk your way into the limelight for a quick moment or an article in a free failing newspaper that no one reads, and the only person you can get to write about it is a Democrat from Chicago who couldn’t get a job at a real newspaper. Get over your self-righteous attitude and come to reality. Otherwise, you have no leverage other than in your failure of a “PAC,” which is making false claims as to the money they are raising or the people you have in it. Give me a break. No son, that is what Ken Henson and his cronies do. Seriously, you are treading very close to slander. Just what “false claims” are being made? I suspect you will choose the latter. Like HCGOP, “Common Sense Steve” is long on whine, and short on facts.